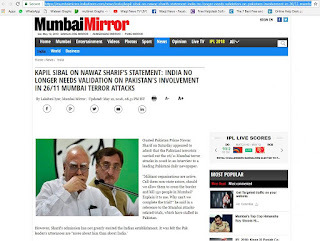 Truth by Kbaig: MNS and the Mumbai Incident: The Real Crux of the Issue! MNS and the Mumbai Incident: The Real Crux of the Issue! 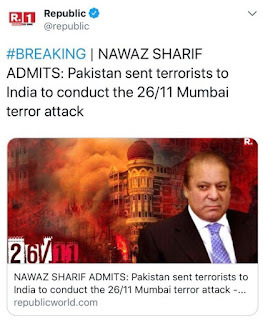 On 26 November 2008, alleged terrorists attacked Hotel Oberoi, Taj Mahal Hotel, the platform of Mumbai City Railway Station, secret center of Jews Nariman House and General Hospital but Indian govt. and media gave coverage to only Hotel Taj Mahal because there were hundreds of foreigners present in the hotel. The only busted alive terrorist’s picture that was issued was taken at City Station platform while he was in action. However, terrorists who faced full Commando unit of Indian army for 58 hours, when they were killed; Indian govt. said that the number of innocents killed was 156 while including Ajmal Qasab a total number of terrorists were 10. Indian army did not disclose that how terrorists divided themselves for attack over 5 different areas? 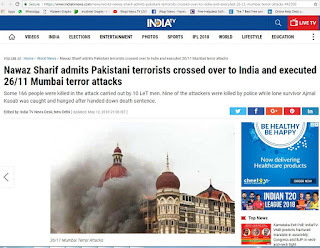 As soon as the attacks started, Indian govt., media, political and non-political elements started blaming that attackers were Pakistani belonging to Lashkar-e-Taiba sent by ISI for terrorism in Mumbai. Indian media posed this attack as 9/11 at New York terming it as 26/11. The news reports published in the Mumbai Maharashtra language on 27 November 2008 are the evidence. Now lets come towards another fact; on the night of 18 February 2007, the Samjhota Express train operating between New Delhi was passing through the Dewana Railway Station near Panipat that suddenly two bogies of the train caught fire. The news spread like a fire via Indian News Media. India media was claiming that fire broke out due to blasts and blamed Pakistan for this. 68 passengers in both bogies burnt alive, while Indian media continued blaming Pakistan. 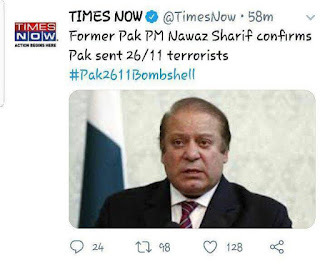 On the basis of this propaganda, few elements started blaming Pakistan army and ISI for terrorist attacks and terrorism within Pakistan as well. ISI, Pakistan army and LeT were once again blamed for the Samjhota Express fire. On 11 October 2008, bomb blasted outside Ajmer Shareef, on 13th December 2008, five time bombs were blasted in the Indian Capital New Delhi. One may have ignored it but India started the full fledged diplomatic war against Pakistan so that world can be brain washed that Pakistan is utilizing terrorists against its neighbors as a weapon of war. The bomb blasts in New Delhi created interest in the anti-Pakistan statements of India. In such a situation no one felt any need to tell the world about the terrorism going on in the long and short of the Pakistan. Most of the anchorpersons on the Pakistani TV Channels in spite of countering the Indian propaganda were busy in blaming Pakistan army. No one was ready to accept that these are anti-Pakistan forces that are waging terrorism in Pakistan via Afghanistan. On 29 September 2008, the bomb blasts at Malegaon in Maharashtra and Modasa area of Gujarat changed the whole scenario. Two days after the blasts the Anti-Terrorist Squad (ATS) of Maharashtra arrested Hindu Extremists of RSS and its other organizations, Shevrine Gopal Singh, Shiyam Bhorlal Sahu and Sadhvi Pragiya Singh Thakur. These arrests by the Hemant Karkare, Chief of ATS Maharashtra jolted the whole India. On the info gathered from the arrested persons, Major Ramesh Apadhya Wasmeer Kulkurni, and afterwards, Colonel Prasad Shri Kant Purohit was arrested as well. On 4 November 2008, the Press Conference of Hemant Karkare made Indian Army, Intelligence agencies and govt. Karkare told that from Samkjhota Express burning to Malegaon blasts all were conducted by the on duty officers of Indian Army with the help of Extremist Hindus and Military Intelligence Officers. ATS got the hint about the involvement of Indian Army by tracing a phone call few days after the Samjhota Express but they needed more evidence to arrest involved persons on such higher posts. 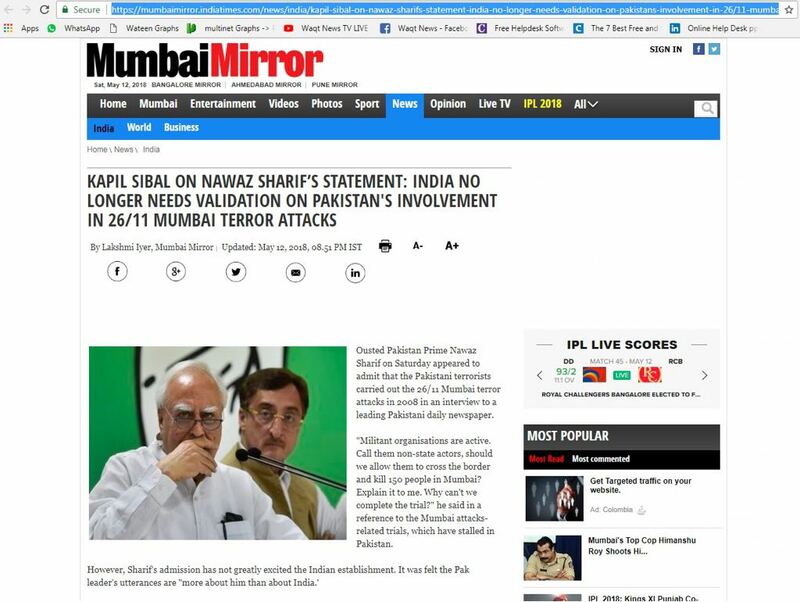 India was worried that Pakistan would start the reciprocal diplomatic war against Pakistan and Indian stance against Pakistan would prove to be a wall of sand and Indian would have to face shame on the international level for her false propaganda. But Pakistan ignored this issue at all. On 15 November 2008, when Karkare presented the Colonel Purohit in the Indian court and got the confession from his for terrorism within India, Indian army an other agencies had decided to remove Karkare. Karkare was told to release the arrested Indian terrorists, destroy all the evidence against them or face the music. On 26 November 2008, with the start of Mumbai attacks drama, Karkare was shot dead in a dark street on the back of the General Hospital along with his three colleagues. 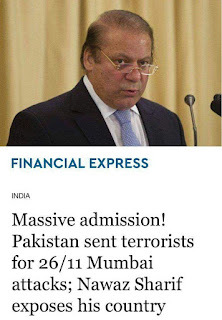 Now Mr. Nawaz Sharif raises the question that who allowed terrorists to attack Mumbai and kill 150 innocents from Pakistan? He forgot to ask that who were the culprits killing 80,000 Pakistanis and who sent them? Mr. Shahbaz Sharif says that the one who arranged the interview of Nawaz Sharif with Cyril Almeda is the real culprit but first of all they should decide that whether the interview was actually held at Multan or all the script was already written? The meeting of Cyril Almeda with Nawaz Sharif was just a show; other wise how is it possible that the taped interview is translated into English and than uploaded on the English newspapers website within the short time of 3 hours? 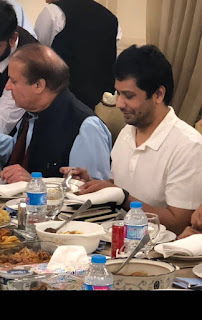 The picture of Almeda with Nawaz Sharif on the dining table was leakes as well so that evidence could be provided for the meeting otherwise why did not they take a picture of both from the front side.